Your company is growing, but your SQL Server is struggling to keep up. You’ve virtualized your servers and performance is just not right. You’ve moved into Azure and you want to make sure it’s configured correctly. We automate the data collection process using a minimal-impact diagnostic tool (SQLDiag) that’s already installed with SQL Server (or a set of scripts for Azure SQL Database), saving the client time and allowing data collection to be scheduled and handled by the client based on their schedule, rather than requiring many hours of data collection through an interactive online session. We have custom data processing tools that we’ve developed that help us to analyze the data, saving the client money. We document all our findings, and the report includes advice and justification (and links to deeper explanations) on remediation of each problem found, allowing the client to make the necessary changes on their own or investigate the problem further and plan/implement an appropriate fix. We also have a summary call with the client, allowing them to ask whatever questions they have on the information in the report. And of course, sometimes the client may choose to have us assist with or perform all the remediation work/further investigations – whatever works for them. We only charge for the time we use (typically 12 hours or less per instance) rather than locking the client in to a costly, fixed-price engagement, saving the client money. Our health check process has been developed and refined over the last 9 years based on the accumulated knowledge and experience of our small team (all Data Platform MVPs with a combined 80+ years of deep SQL Server experience), past client engagements and problems, and is constantly updated based on current trends and issues we see with SQL Server installations. Each of our consultants utilizes an internally-developed checklist of over 130 items that we look for during our health audits to ensure consistency and accuracy across our team, and we routinely review our processes to ensure that the team is current with new checks and findings with each release of SQL Server. Our process is constantly evolving to be more efficient and thorough based on our customer interactions. For large environments, we encourage the client to pick representative instances to check, and then extrapolate the results to instances with common configurations, saving the client money. We do all of this to take the least amount of our client’s time, and provide the best return on their investment, whether for small environments or large corporate data centers. Also, as our audit is engineered to be as efficient as possible, it allows small companies with small I.T. budgets to make use of our services. We don’t even need access to your servers to perform the health check – we send you a diagnostics package based on the Microsoft SQLDiag tool (which you already have installed with SQL Server) which puts no load on your server as it produces results, and then you upload the results to a secure FTP site – saving you time and hassle. This also means that you and your servers can be anywhere in the world and still take advantage of our services. We’ll pinpoint your issues and provide detailed, practical advice on how to address them, and we’ll do it quickly. Unlike other companies, we don’t ask you to sign up for a multi-day engagement – only what is required to get the results and information you need. We get the problem solved – every single time – and you get the best return on your investment. A typical health check takes 8-12 hours, including time for discussion of the results with you, and a little more if you choose to add in other areas like virtualization. And then we can help you fix any problems, or guide your team as they fix them – whatever works for you. Some of the clients we’ve been working with for many years started with a single-instance health check and come back to us a few times per year for help when they need it (and we don’t charge any retainer fee). It’s really fun to get to know our clients, watch how their environments grow and improve, and meet them in our classes and at conferences like SQLintersection. And as the majority of our clients have used this service for one or more servers, we have plenty of references available, including US government if required. 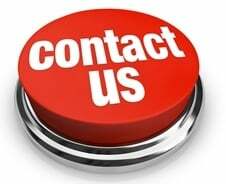 Contact us today to discuss your requirements by email, phone, or online meeting – free and with no obligation. Again, thank you for your help and getting us going when it seemed no one else had the answers. Greatly impressed with SQLskills’ professionalism and competence. A good deal of knowledge transfer in a short period of time. SQLskills.com were responsive to my questions, very thorough in evaluating our needs and their technical skills reassured me that I was working with true experts in the field! Karl StyrskyVice President – Finance & OperationsHose & Fittings, Etc. Their findings, plus the validation of our procedures and training from two of the top experts on Microsoft SQL Server, was a great value, and we plan to have them come back for further consulting and training.